However, a good many persons from various nations that are crossing the northern U.S./Mexico border are not interested in coexisting, while seeking to keep their native language, nor do they seek to assimilate to the degree of being part of various aspects of the American culture. Some may enter into the workforce while others contribute nothing to society, all the while, many are freeloading and collecting handouts at the expense of the taxpayers which are already buried in debt, high taxes, fees, and fines. To make matters worse, trillions in deficits will need to be paid by our grandchildren and great grandchildren. There is a word for this. It is called being ripped off! Is it fair when taxpayers today and those in the future will end up paying the 6 trillion dollar debt plus interest because of the recklessness of the Iraq and Afghanistan wars, while our own military personnel guard poppy fields? And when will the next wars begin and who will be paying for those? The U.S. is presently 21 trillion dollars in debt and the American taxpayer cannot afford to be taxed one more dime, lest the foundations of America be lost to the unbridled spending of big government entwined within a bureaucracy that has grown also to serve itself, catering to the corporate lords, all of which stand to benefit from greed and money that generates affluence at the top 10% and debt to the other 90%. The nature of a bloated administrative government bureaucracy is to grow and serve itself while being supported by the worker bees. Yes, there’s a lot of honey there for those at the top and the Soviet Union is a perfect example of a country that took the spoils of their own people and made their state a Marxist god. Lo and behold, did not the evil Soviet Union economically fail and fall as it could no longer control the countries that they stole after WW2 which included East Germany, Poland, Hungary, Yugoslavia, Albania, Bulgaria, Czechoslovakia, Romania and part of Finland? And the U.S. under President Franklin Roosevelt allowed it! 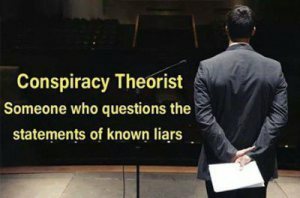 So, history shows us that the East German Communist wall was built to keep people from fleeing to the west for freedom, while the wall in Israel is meant to protect their own people from any warring factions from Lebanon in the North and other threats from Egypt that may come from the South. The wall which borders Egypt is 143 miles long and the cost was 415 million dollars picked up by our own foreign aid package. The U.S. just struck a deal with Israel which will give them 38 billion dollars in foreign aid over a period of 10 years. Yet, how do we in America know that the 38 billion dollars over a ten year period will be spent wisely for the sake of humanitarian purposes, such as healthcare and adequate housing for Christians as well as Jews and others? 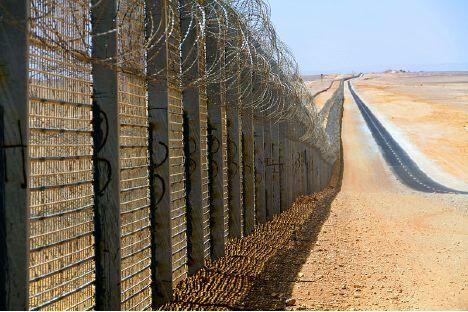 As a footnote, US taxpayers Have “Paid for Israeli Immigration Wall along the Egyptian border.” In 2008, the Bush administration announced that the U.S. would assist Egypt in constructing a high-security fence along the Gaza-Egypt border in order to stop weapons smuggling from the Palestinian territory. Those weapons are often used against southern Israel. Instead, according to Miller and her colleagues, the US is bypassing environmental laws to build barriers. As a result, they construction undergoes no review processes or ecological assessments, and will end up degrading and fragmenting environments that conservationists and governments have invested a lot of time and money in. “Like any large-scale development, construction of the wall and associated infrastructure, such as roads, lights, and operating bases, eliminates or degrades natural vegetation, kills animals directly or through habitat loss, fragments habitats (thereby subdividing populations into smaller, more vulnerable units), reduces habitat connectivity, erodes soils, changes fire regimes, and alters hydrological processes (for example by causing floods),” the paper explains. The construction endangers not only plants and animals, but scientists themselves. Both American and Mexican scientists have been harassed, deterred, and detained at gunpoint by Department of Homeland Security agents while going about their business of studying local flora and fauna, Peters explains.